A massive blowout necessitated a full-out penguin wash. That's right. 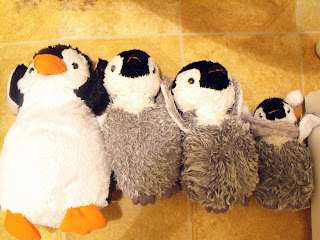 The whole penguin army was dumped into the washing machine. The two in the middle have been through so many cycles, their necks are barely attached to their bodies and it looks like one has cataracts.